Its pretty easy to create a NFS v4.1 mount. Like anything else in the past year or so, you must be using the Web Client to use this new feature. 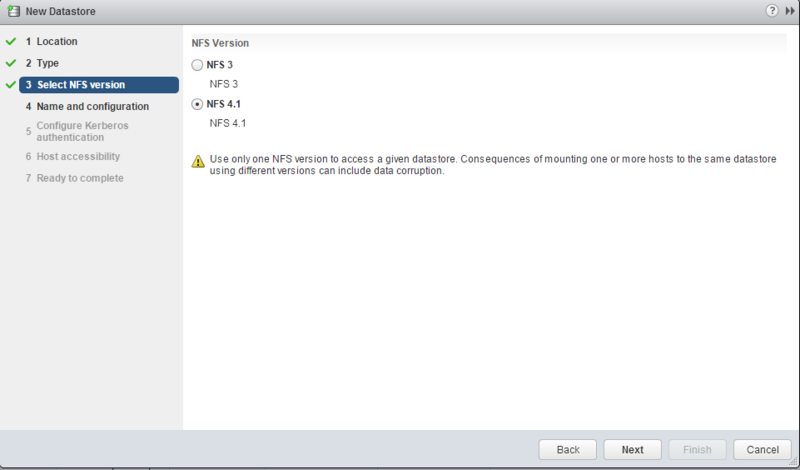 Once you reach this screen, you can name the mount, and specify the folder and servers that this Datastore lives on. After clicking the green +, you can then add another folder and server to be associated with the same Datastore. 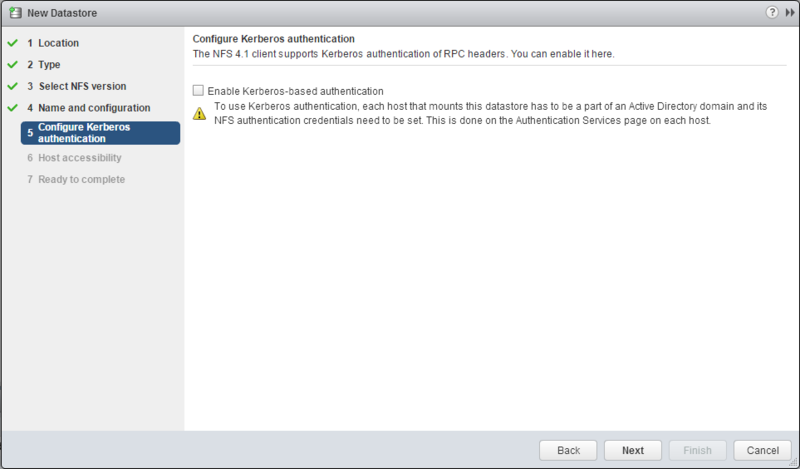 The last important screen is the check box where you enabled Kerberos for this Datastore. It is pretty simple and self-explanatory. 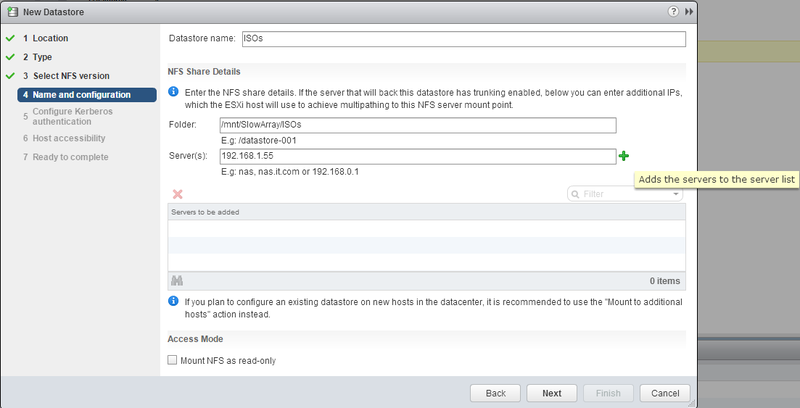 At this point the Datastore acts exactly the same as they have before, however if one of the IP Addresses that host your NFS Datastore goes away, it should failover to the 2nd one (if you provided it). This entry was posted in VMWare and tagged ESXi, NFS, nfsv4, VMware, vsphere 6 by ck_nic. Bookmark the permalink.